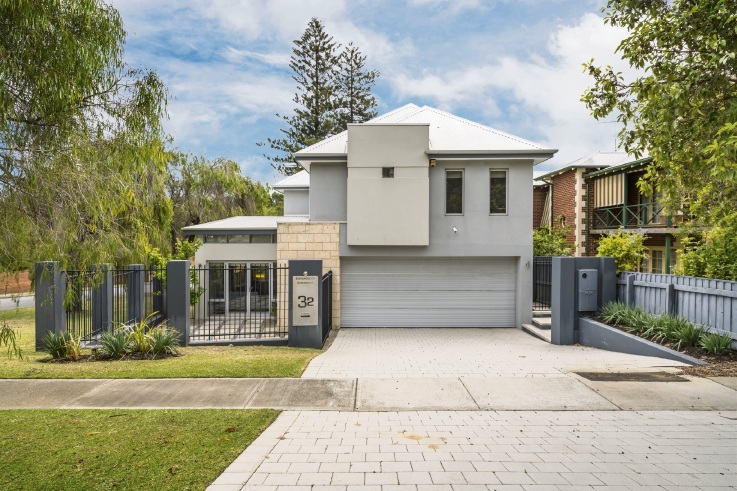 TUCKED away behind a fence and high wall with imposing timber doors, this two-storey home on a 663sq m corner block is a serene modern sanctuary, with plenty of room for the family to come together or enjoy some peace and privacy. From the entry, the ground floor layout opens to two wings. 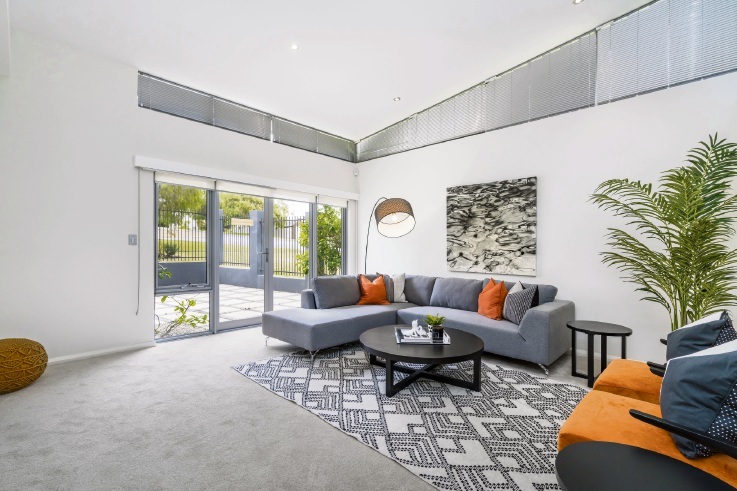 One includes a lounge room that opens to courtyard, an office/formal lounge, laundry with drying court and a powder room. 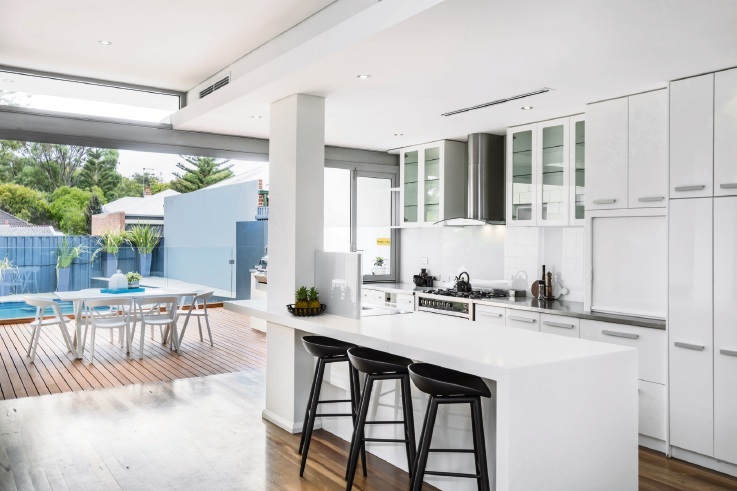 The other is the heart of the home – the open-plan living/dining/kitchen area. 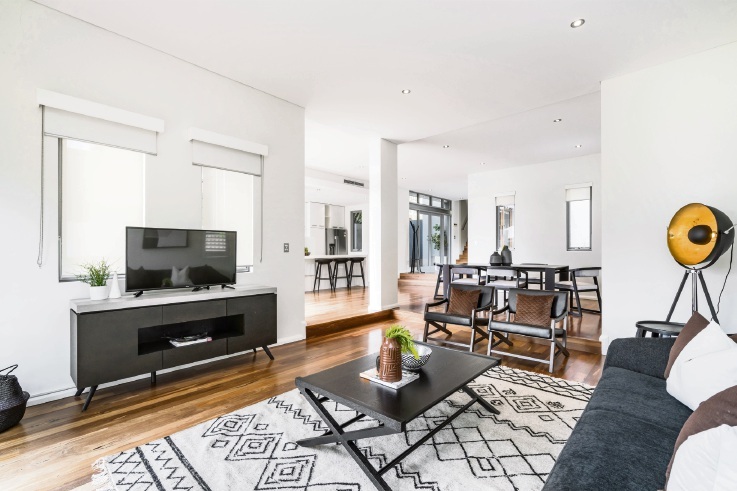 It is an elegant room, with a sunken living space, striking flooring and a kitchen with breakfast bar, Baumatic appliances and ample storage space. 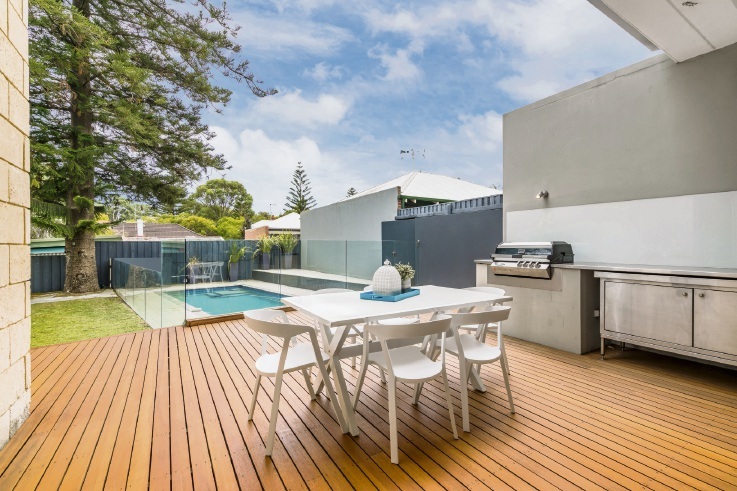 A wall of doors opens to the alfresco area with built-in barbecue, decking and retractable awning. 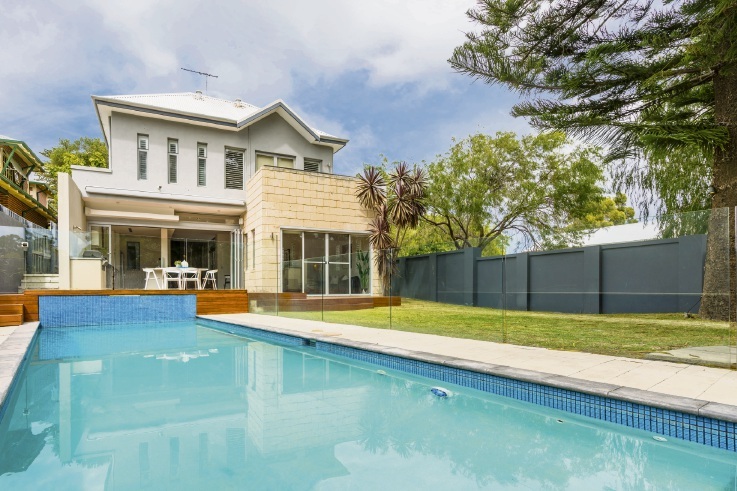 The backyard was made for family living with a lawn where children and pets can play, a pool to provide hours of summer fun and outdoor shower for rinsing off after a swim or trip to Cottesloe Beach or the river. The three children’s bedrooms, all with built-in robes, are at one end of the house near the main bathroom with bath, shower and a separate powder room. 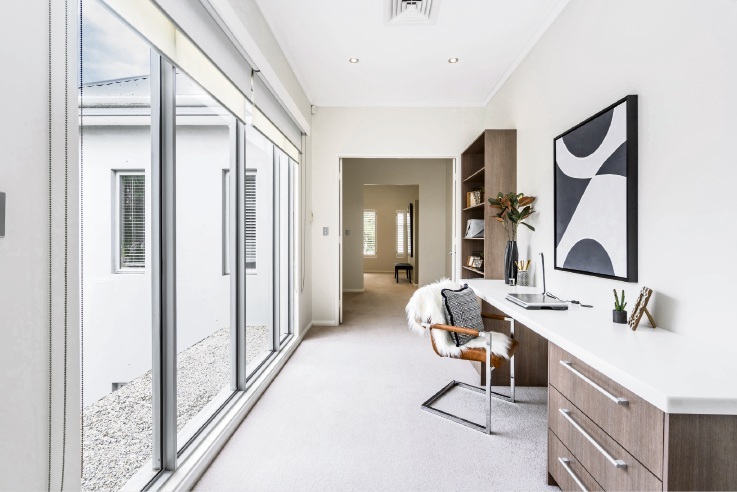 Separating the wings is a hall with a study nook and doors opening to the parents’ domain. This spacious zone includes a large walk-in robe, bedroom that opens to a balcony and open-plan ensuite with bath and a vanity unit on either side of the shower. 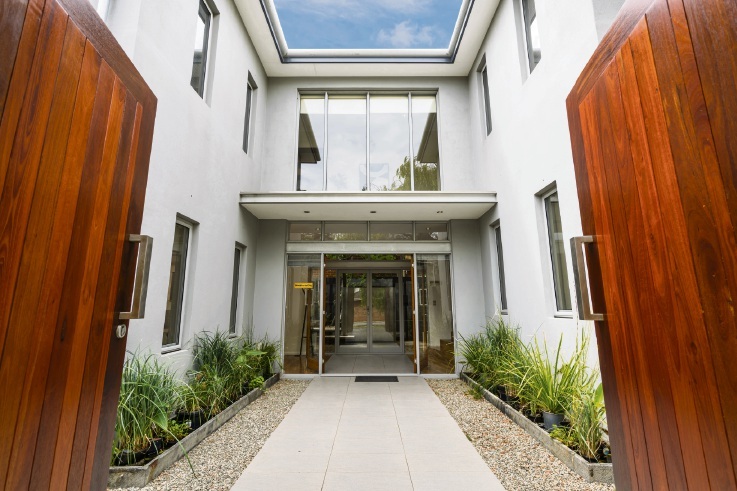 Other features include another courtyard opposite the entry, two-car garage, room for off-street parking and airconditioning.